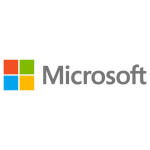 Microsoft Corporation is a multinational software firm and is headquartered in Redmond, Washington. It had been incorporated on 22nd September, 1993. The corporation is engaged into developing, supporting and licensing wide variety of software products and services. It is also known for designing, selling hardware and delivering online advertising to all its customers. It operates into 5 segments - Windows Division, Online Servers Division, Server and Tools, Entertainment and Devices Division and Microsoft Business Division for phones, servers, computers and other devices. It has acquired Skype technologies in May, 2011 by paying $8.5 billion. Mr. Steve Ballmer is CEO and Mr. Bill Gates is Chairman of this corporation. There are currently 7 consumer reviews about Microsoft available. Share your review. Please offer same incentives for you products in and around the world here in the USA. My issue is not getting 12 month gold card with purches of office 365 university ed. I was directed by YOUR BING search eng. to what turned out to be a UK office site with this offer and noticed CANADA was also included in this offer. I was not even offered a 3 moth gold card for pointing out issue, which your tech. even stated that in the address bar eg came up when it sould be uk. I also noticed other sites saying you were giving this program away in other countries for free? I have payed a premium for your games, cards for xbox, programs etc...I am very upset with this particular issue and consider bringing it to attention of BETTER BUSSNIS bureau and media outlets . I had the misfortune to have buy a new laptop. This came with Windows 8 (W8). I did not buy a mobile phone. So why is W8 designed for mobile phones but installed on a computer? W8 is rubbish. The so-called charms are anything but. They appear at anytime except when I need them. Why did the idiots who miss-designed this abomination needed to put everything in different places. The Start screen is not the same as the old start button. It was much easier to start something under the old system. Windows 8 is supposed to be more stable. Absolute bat crap. Virtually all of the apps etc stop responding soon after they start. It is particularly annoying because it takes several attempts to start anything the first place. The Power button works less than 20% of the time and even then it might not shut down the computer. It turns of the screen and then stops. I have to remove the battery to shut down the computer! And why if I want to start something I have to go to the search "charm" and type the name of damn program into it. Why? What dickhead decided that that would a good idea and why hasn't he been sacked? Furthermore, if I have a page displayed that has a vertical scroll bar, it move up and down randomly. It is incredibly difficult to put the scroll bar in the place I want it to be and have it remain there. Likewise why I do want the size of the page zooming in and out if I go anywhere near my mouse pad? The mouse pointer jumps randomly around which means if I am typing something, often I will find I am typing in the middle of what I have written before. Well done Windows 8 for being so effing annoying.It must have taken hundreds of man hours to make sure this 'feature' works properly. One final point. How much did all those other companies pay Microsoft to have their mobile phone apps added to W8? I've been on the phone over one and one half hours trying to get Customer Support. The Customer Support for your products is beyond deplorable. You have chosen to transfer these jobs to people in other countries. The result is an extremely poor phone connection and unbelievable difficulties in understanding what they are saying. I have nothing against other cultures but the quality of assistance is terrible. I have spoken to 8 people so far and have been cut off and had to start all over again. Each time I have to explain everything all over again to each person. No one documents anything on my account. I have a new laptop with Windows 8. I had to buy the software separately so purchased and installed Home and Business 2013 a couple months ago. Now I need Access 2013. I purchased it two days ago through Amazon and when I went to your website to download it, it said it had problems. I was busy and decided to wait a couple days. I backed up my system last night and had a few minutes this afternoon and tried to load the Access 2013 again. Well it wiped out ALL of my software and everything else. I can't even get a date and time on the bottom of my screen. All I have is internet access. I HAVE WORK I HAVE TO GET DONE TONIGHT!! I've been on hold for help reinstalling my Office 2013 Home and Business 40 minutes so far this time. They have to call me tomorrow from the "Access" department to help me install that because they put me in a queu. I heard from other people that they tried to load Access and it wiped everything out. That's why I tried to do everything right. Microsoft - you should be able to do better than this!! You should be ashamed. This is HORRIBLE service! Your products are not Cheap and you should at least provide adequate service. You really are making me want to buy an Apple next time. All of my Apple friends are happy and don't go through this. They can not believe how you treat your customers. After spending most of the day on hold between the Microsoft Store and the MarketPlace I still can't get a refund of $108.24 because the MarketPlace can see the charge but the MS Store can't see the charge for a product I did not get due to a computer time out on th MS website. I sincerely hope this is not practice that corporate condones. I don't understand how the different department computers can't communicate or see the same information. I can see the charge on my MSN account. This is MicroSoft you would think their customer service would be a little more updated. Please take a note that you are about to post a public review about Microsoft corporate office on CorporateOffice.com. This review will be public, so please do not post any of your personal information on this website. If you would like to contact the corporate offices of Microsoft, please use their contact information such as their phone number, website, and address listed above to contact them. However, sometimes staff from Microsoft headquarters do read the reviews on this website.